The Nursery and Pre-K rooms are bursting with joyful learners. We strive to have fun while working hard. 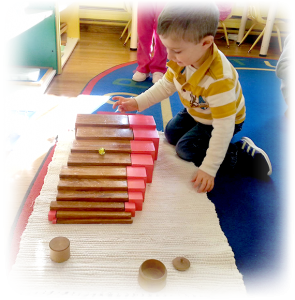 During the morning and afternoon work times, the children choose work from shelves filled with beautiful Montessori materials. On a rug or table, the child completes the work, learning concepts in a “hands on” way. The six areas of our classroom are: practical life, sensorial, language, math, science and geography/culture. We give the children new lessons and help the children with work when necessary. We help the children navigate friendships and provide many opportunities to practice social skills. We encourage the children to collaborate with one another on challenging works and projects. We also encourage the children to make connections between the areas of the classroom during lessons and class discussions. The children have music and Spanish class each week. We also study a new sound each week, emphasizing this sound in the language area as well as other areas. For example, if the sound of the week was m, we would create marble paintings, work with measuring and money in the math area, and sort out magnetic and non-magnetic objects in the science area. During the week, we would brainstorm words that begin with the m sound. We would focus on songs, stories and games at circle time. The classroom environment encourages independence and the development of concentration, both critical skills for future learning. The math area of the classroom prepares the child for future abstract work with concrete manipulatives to provide a solid sense of number. The children also work with place value using Montessori manipulatives materials. 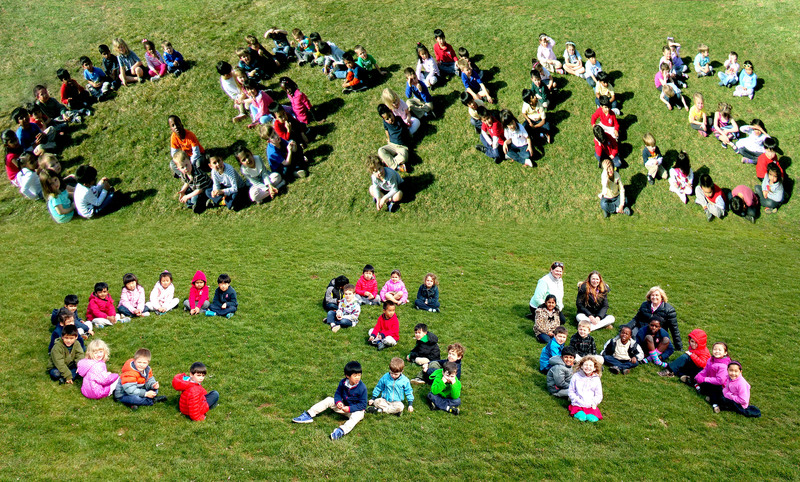 We provide a warm, friendly learning environment, encourage and foster a love of learning in each child. 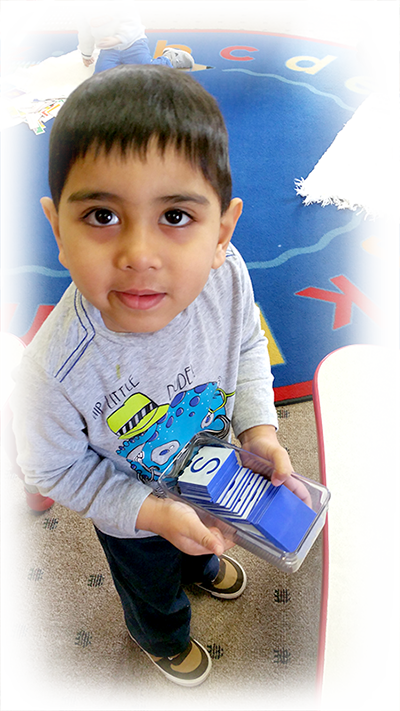 The Montessori classroom is a structured environment that encourages independence in each child. We provide a curriculum of science and geography. We provide art experiences using a variety of media and encourage creativity. A break for lunch and outdoor playtime in the middle of each day provides us even more time to build friendships and have fun together. We all marvel at what the children learn every day!